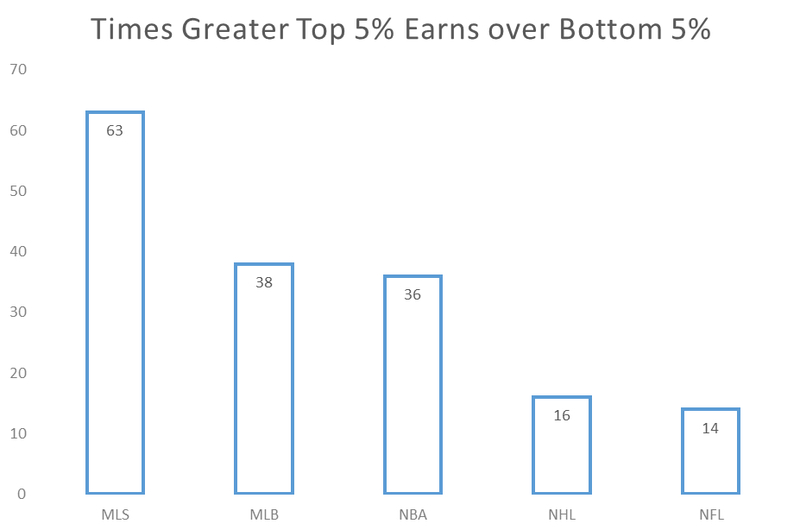 Looking at the Top 5% vs Bottom 5% tells us that MLS is remarkably top heavy in comparison to other domestic leagues. The addition of Frank Lampard, Steven Gerrard and Sebastian Giovinco to the MLS wage book got me wondering just how far out of whack the top guys in the league are getting verse the guys at the bottom. You may have heard, maybe not (entirely possible), that the next MLS collective bargaining agreement is being negotiated right now. You probably haven’t heard much, I guess. Nobody has. With players reporting this week to get preseason exams and start training, it seems as if it’s business as normal. Harry Shipp’s recent comment about Giovinco’s salary is very telling and refreshingly candid “I wonder if Giovinco knows that he will literally make more money in 2 days than some of his teammates will the entire year,” he said. And he’s not wrong. 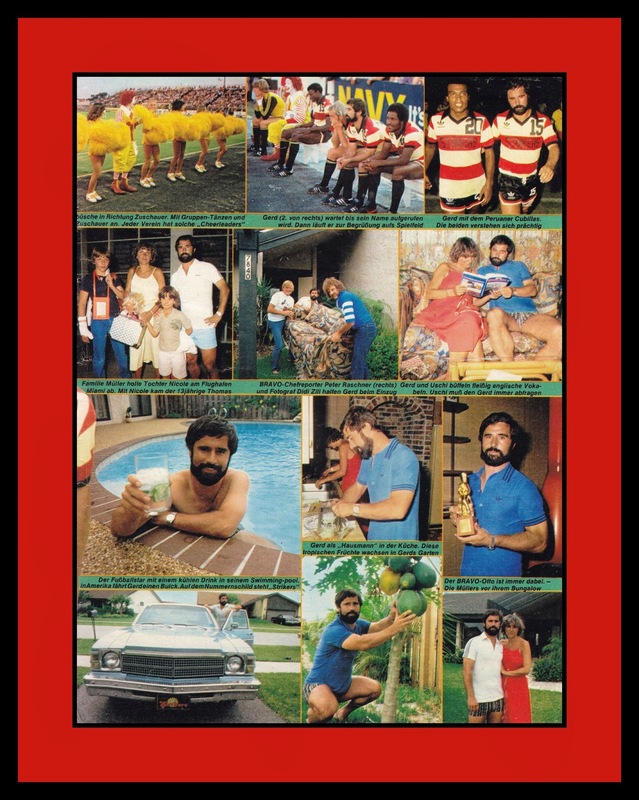 MLS is close to going full “old NASL” (albeit without the glamour, soul or… fun) on us the past couple years after preaching slow and sustainable growth in the previous 16 or so. I don’t understand why the league is ramping up investment on a handful of players at the top when it doesn’t raise the overall quality of the league, nor give more chances to US and Canadian players (which was part of the founding mission of the league). In fact, sprinkling in international talent tends to only raise the profile of the leagues from wince they came - something I’ve looked at, and still monitor. Here’s a look at how many times the top 5% of MLS wage earners make over the bottom 5% as of the latest release from the MLS Players Union. To keep things level, I used Sportrac.com base salaries as my primary source. Housekeeping on the MLS side - I added only Giovinco and replaced Henry with Altidore (Lampard and Gerrard are not added and only makes it look worse for MLS players). Reports had Giovinco’s Serie A salary at around $2-3 million per year. His $7 million dollar MLS wage makes him not on the highest paid player in the league but also the highest paid Italian in the world. It’s nuts. And it also highlights what MLS has to pay over market value to bring in a “top” foreign talent. Not sustainable. Not smart. And sort of erratic. A thought, maybe? Does the league (collective owners) care about money which comes out of the pockets of individual owners i.e..DP salary over the cap limit? Soccer, the pro version in US, isn't going away. The game of soccer is simply too popular here and now. If one or two, or even three owner's want to bust their bank and maybe even loose control, leading to selling their franchise, so what. One stick in this theory. How much of these transfer fees and salaries above the league DP portion is the MLS politburo on the hook for? If they are counting large sums more than the simple DP league portion, well...that's BS. It allows the owners (collective) to say they are spending lots more money, thus driving down all other player salaries (due to losses???). It also brings up the worst aspect of single entity, some teams getting outsized benefit, others not so much. I don't think MLS will spend themselves out of existence, too much money in live events these days. I do think the league is walking a fine line between success and laughing stock until they let the teams work more independently, if nothing else but for the fact that there is enough money in the US. The speed of which NASL teams are getting their heads above water shows that it's a huge market. And in all honesty, some MLS teams / markets need to fail and better ones arise. League shares the burden on transfer fees or DP payments above $400k for markets that can afford it (Seattle, LA, Toronto). The rest are on their own, for the most part. So, the league does pay some of Giovinco's extra 6m? I mean, above the 400K. If true, that's nasty in so many ways.